One mourns the very recent passing of Czech conductor Jiří Bělohlávek (24 February 1946 – 31 May 2017) not only because he was wonderfully discerning musician, but also because he perpetuated a conducting legacy that linked back to the greatest Czech composers of the 19th and 20th centuries. This tradition fundamentally derived from Václav Talich’s long reign with the Czech Philharmonic up to about 1950, spawning principal successors Karel Ančerl and Václav Neumann. One would not want to forget the important contributions of other conductors along this path: Rafael Kubelik, Karel Šejna, Václav Smetáček, Zdeněk Chalabala, and Zdeněk Košler, with Martin Turnovsky, Libor Pešek and Zdeněk Mácal later on. All these maestros distinguished themselves by their natural insight into Czech rhythms and colour, and the lean, pointed and often pungent character of Czech orchestral sound. This was true of the younger Bělohlávek too but, in my estimation, he eventually communicated something more: the lyrical reach and telling atmosphere in Czech music that coexists with its sharply-etched rhythmic and dramatic profile. It is fortunate that Bělohlávek was able to leave us complete cycles of Martinů and Dvořák symphonies, the latter with the Czech Philharmonic in 2014. Both are supreme accomplishments – praised in all quarters and a true testimony to a long-standing Czech performing tradition. Only Vaclav Neumann had recorded both cycles previously. Yet behind this achievement lies a pressing concern: Does the loss of Bělohlávek mean the loss of one more important link to Czech authenticity? After all, in 1990, when the conductor had his initial and precipitously short-lived appointment as Music Director of the Czech Philharmonic, the orchestra was already turning to non-Czech leadership (Gerd Albrecht, Vladimir Askenazy). Try another angle: when recently planning an interview with the precocious Pavel Haas Quartet, I mentioned to cellist Peter Jarůšek that I would like their thoughts on the celebrated Smetana, Janacek and Vlach Quartets – certainly a cornerstone of classic Czech music-making. His response was: ‘We actually don’t know much about the ‘old school’ players’. So perhaps the link is already lost in the young. It is a blessing that Bělohlávek tutored native Jakub Hrůša, who has now emerged as a very considerable conductor in his own right. Current biographical information on Bělohlávek tends to skip quickly to his exploits from the 1990s onwards, but to understand the conductor’s direct link to the Czech tradition, one must probe earlier. It may not seem like there should be a strong link between the conductor and Canada, but one recalls that Karel Ančerl fled the 1968 Czech invasion by accepting the music directorship of the Toronto Symphony in 1969, which he held until his death in 1973. 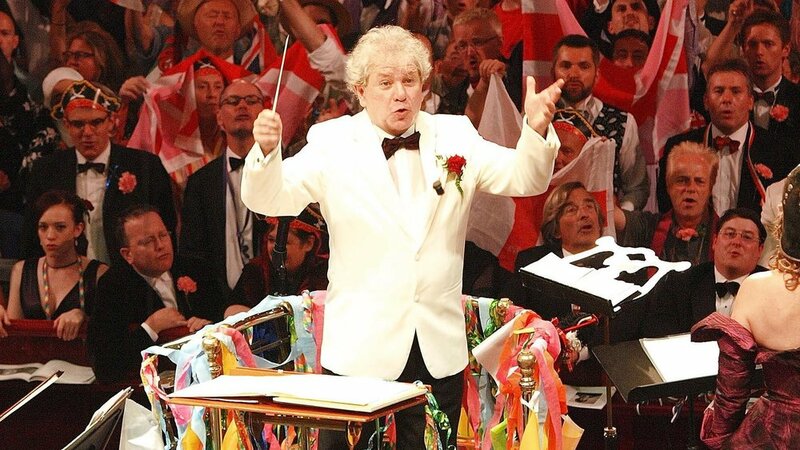 When I first moved to Toronto in the late 70s, Andrew Davis was just getting started with the orchestra, but stories of Ančerl still abounded, and the stream of Czech conductors continued unabated. Václav Neumann came to conduct the Toronto Symphony in at least four concerts in each of two seasons, while Zdeněk Mácal arrived for others. Then, a year or two later, Bělohlávek arrived, and in fact never stopped coming: he was a regular visitor to the orchestra right up until 2017. For all Bělohlávek had the same Prague Symphony lineage as Neumann, and was then that ensemble’s chief conductor, I knew little about him at that point: he was only in his early-30s. In the concerts that I witnessed, his conducting seemed to exhibit good musical energy and shape, yet it tended perhaps more to the robust than fully cultivated. There were features that reminded me of both Ančerl and Neumann but, expectedly, he did not have the precision and tonal ‘bite’ of the former or the architectural certainty of the latter. Interestingly, it was probably the (decade-older) Mácal who impressed me most: he gave a riveting Dvořák ‘New World’ with the TSO that still remains in the memory (later recorded with the LPO by EMI). As it turned out, Mácal eventually inherited the directorship of the Czech Philharmonic (2003-2007) after long stints in America. Bělohlávek’s final tenure with the ensemble followed on his. Yet what a difference a decade can make! When I saw Bělohlávek conduct in Toronto in the 1990s, his awareness of interpretative space and his dramatic command was so much greater. Perhaps this transformation might have been gleaned from his fine Chandos recordings of Dvořák’s Symphonies 5-8 around the same time; an earlier release of Martinů’s ‘Fantastiques’ Symphony with Janáček’s Sinfonietta was equally compelling. There was also the perceptive and powerful reading of Josef Suk’s ‘Asreal’ Symphony in 1995, a composer that always seemed to bring out the best in this conductor’s art. And his development pushed on further from here. No one would pretend that Bělohlávek had all of the ingenuity and electricity of Talich, or the sheer rhythmic fire and precision of Ančerl or, for that matter, the romantic/dramatic zeal of Kubelik. Nonetheless, while Bělohlávek’s conducting was always impeccable in bringing out the cogent rhythms, precise string articulation, and rustic colour that are hallmarks of this tradition, he also revealed a side that was more human and thoughtful, always aware of the beauty in the music yet never shying from its darker emotions. He often sought more expansive and atmospheric responses than his predecessors, bringing out a different type of detail and depth. His rhythmic and expressive fluidity was always evident, certainly very different than the often four-square Neumann. In many respects, the conductor’s unique contribution to the understanding of Czech music lay in identifying a penetrating type of lyrical ardour – and a subtle beauty and glow – to go with the sharper and more dramatic aspects of its projection. I cannot think of a previous Czech conductor who realized this to a greater degree. A perfect example of his lyrical reach is in Dvořák’s F major symphony (No. 5), which he recorded three times, and which I have also seen him conduct live. He cultivated so much pastoral space in the work’s opening movement that I really had to think twice when I first heard the interpretation. It had little kinship with the more rhythmically direct readings of Istvan Kertesz and Witold Rowicki that long held reference status. Its sense of pastoral calm actually linked more closely to an even-earlier recording by the native Karel Šejna, which I still regard as cherishable. In Bělohlávek hands, there is more than just the delight of a rustic journey playing off against a buoyant rhythmic energy; there is real narrative and discovery as the moments of positive energy flow into more tentative and vulnerable corners at a very measured speed. Foreboding Czech spirits make their entry – but only for just long enough to make their effect – as the music alternates with a more forgiving and tender innocence. Especially in the 2005 BBC Symphony recording, there is a truly a glow and wonder over it all; there are so many subtle shades of feeling that pass by. For those who might emphasize the conductor’s early tutelage with Sergiu Celibidache, there is convincing evidence of the elder maestro’s influence here. One also finds a life-enhancing glow in his slightly later Martinů symphony cycle, revealing the conductor’s intuitive rhythmic awareness, his sense of fantasy, and a deep understanding of the shape and amplitude of the composer’s string lines. There is a lovely balance of expression throughout and one is always convinced that the conductor has hit the nerve-ends of the music perfectly. Beyond the intense commitment to the music of their homeland, Czech conductors have usually exhibited rather Catholic tastes, not venturing too far afield. (Ančerl’s love of contemporary music might be regarded as the major exception.) Bělohlávek performed and recorded Beethoven, Brahms, and the later romantics yet, as with both Neumann and Mácal, he was also won over by Mahler, ultimately giving a fully memorable cycle of performances with the BBC Symphony. He also conducted English music extensively in his BBC appointment – including several ‘Last Night of the Proms’ – which was unique in and of itself. Czech participation in the British tradition has been slim to say the least: I mainly recall Libor Pešek’s championing of Benjamin Britten when he was in Liverpool though, intriguingly, Josef Vlach had recorded Britten’s Variations on a Theme of Frank Bridge decades before this. Over the past decade, one has been able to assess the vast riches in the Supraphon vaults for both Talich and Ančerl (in their ‘Gold’ series); it is acknowledged that Neumann’s recorded legacy was vast too. It seems to me that Bělohlávek left riches just as considerable. He recorded many lesser-known Czech pieces (including things like the Fibich Symphonies) for Supraphon in his early days and eventually combined this with an endless stream of recordings for Chandos, Onyx, Harmonia Mundi and (at the end) Decca. Overall, this is a formidable contribution. Besides the Czech symphonic repertoire, it was the conductor’s interests in Martinů and Janáček operas (including the former’s little-known ones), and other Czech operatic and choral works that stood as a central preoccupation from very early on. His first recording of Martinů’s Epic of Gilgamesh was as early as 1976. He recorded the composer’s Greek Passion in Prague in 2006. The compelling awareness displayed in performances of Martinů’s Julietta and both Janáček’s Jenufa and The Makropolous Affair in London in 2016 make one wish that he had lived long enough to put these works on disc. He was a superb collaborator in concertos: witness the Beethoven piano concerto cycle recorded with Paul Lewis, the synergies achieved with violinist Isabelle Faust and cellist Jean-Guihen Queyras and, in his last Dvořák concerto recordings, with Alisa Weilerstein and friends. He always held Dvořák’s Stabat Mater close to his heart and it is not surprising that he recorded it a second time (his first effort was wonderful too) as one of his final two releases for Decca; its companion was Dvořák’s Slavonic Dances. Of course, this is all on top of the Dvořák and Martinů symphony cycles – which leave a unique modern benchmark. The last two decades saw the conductor’s richest set of commitments, and his greatest presence. Certainly his most enterprising project was in forming the Prague Philharmonia in 1993. With 40 young musicians, and in spite of funding difficulties, this turned out to be a real success, and from a recording standpoint too. 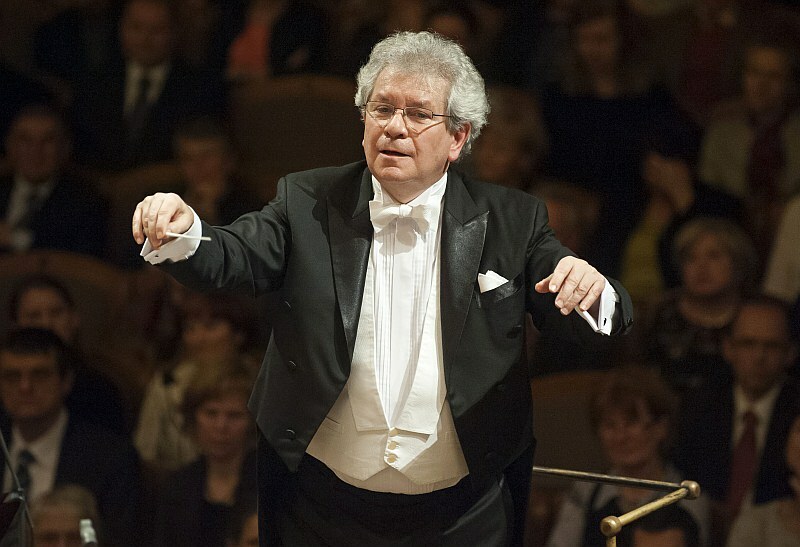 After serving with the BBC Symphony as Principal Guest Conductor from 1995 to 2000, it was Bělohlávek’s appointment as Chief Conductor of the ensemble from 2006 to 2012 (Conductor Laureate thereafter) which proved to be the wonderfully fertile association – instrumental in his recognition as a ‘great’ conductor. His subsequent appointment as Chief Conductor of the Czech Philharmonic (for a second time) was an almost mandatory honour. It was most appropriate for the BBC Symphony under Sakari Oramo to celebrate and remember Bělohlávek at the 2017 Proms (review) but this is perhaps just a start on appreciating the great conducting tradition preserved by this much-loved maestro.